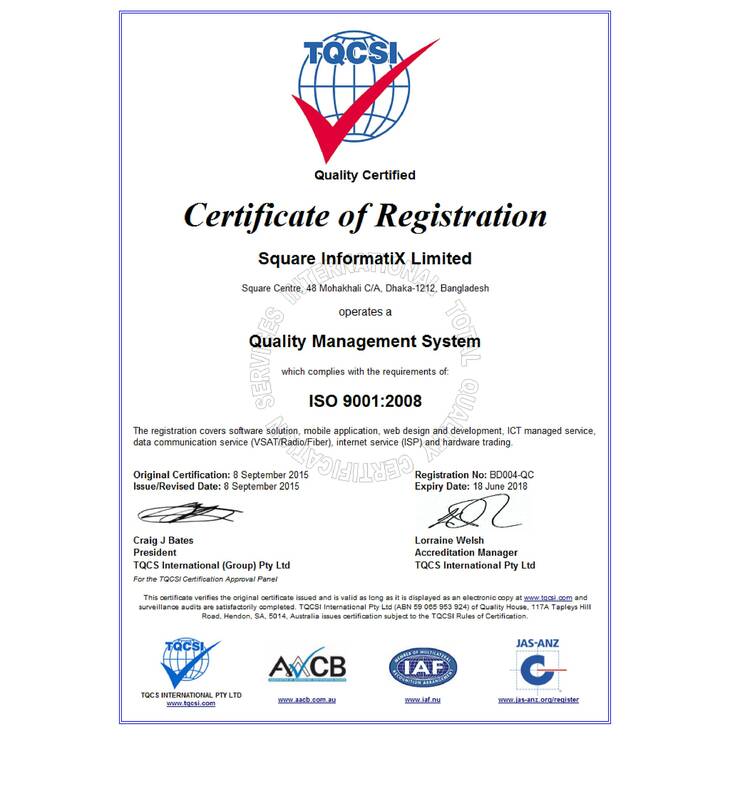 Square InformatiX Ltd. is a complete solution provider of computer networking, Internet service provider(ISP) , software development and end-to-end communication service through own satellite HUB station (similar to Teleport ). It provides customer solutions ranging from requirements analysis to system design and implementation. 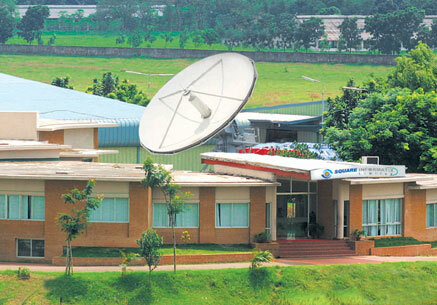 Square InformatiX Ltd. a pioneer of data communication service provider has made the biggest ICT investment first of its kind in the country by setting up a satellite earth station in Bangladesh to cater to the needs of its valued clients that facilitates VSAT connectivity across the country irrespective of geographical limitation (iDirect 5IF universal DVB-S2/ACM VSAT HUB). 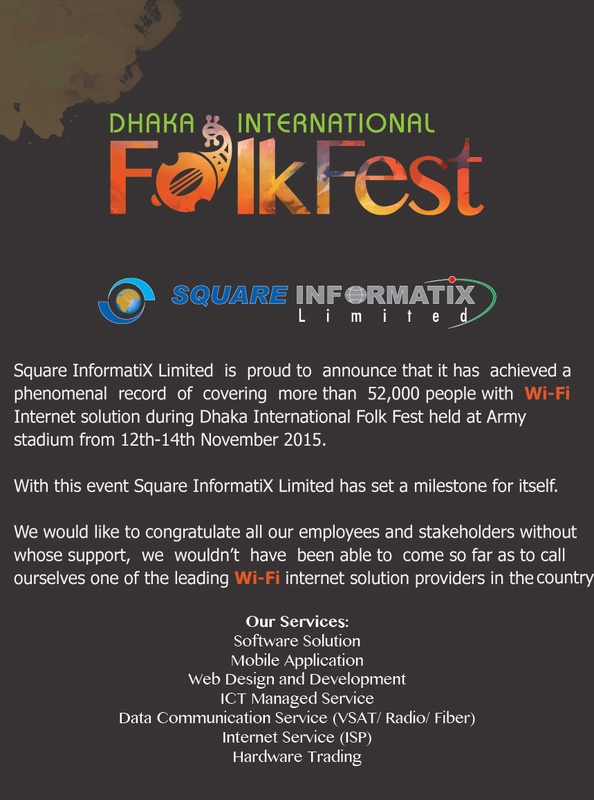 Square InformatiX is also a nationwide internet service provider(ISP) having strong internet infrastructure. It provides broadband internet service through Fiber, Radio, WiMAX & VSAT. Square InformatiX has introduced an International Standard Disaster Recovery Site/ business continuity centre to protect critical business information. To serve business continuity needs, The Disaster Recovery Site at savar meets the latest international standard (TIER 2 Guideline) for maintaining a back-up / redundant system for emergency. Square InformatiX has come up with a number of software that can provide wholesale solutions to your businesses. Its years of experience and expertise in dealing huge volume of work, thousands of employees, millions of consumers and problems and challenges of various categories has helped Square produce several ERPs (Enterprise Resource Planning) that will efficiently meet the need of your enterprises. We sell solution, not only specific service. We are capable of providing software, networking, communication and hardware solution required for total automation of your business.